Shakespeare’s classic revenge tragedy, is kinetic, shocking and “a play for now” (Theatermania). Set in a modern surveillance state Denmark, the characters spy and report on one another, even in their most intimate and vulnerable moments of grief, agony and despair. After his father’s abrupt death, Hamlet returns home from university to find his mother remarried, his uncle on the throne and a world seemingly gone insane. When his father’s ghost appears demanding vengeance, the increasingly desperate Danish prince must decide: Submit or Resist. Accept or Avenge. Live or Die. Saturday 2:00 p.m. 8:00 p.m.
Sunday 2:00 p.m. 7:00 p.m.
For each performance, a select number of seats are given away to lucky lottery winners. The online lottery will open Tuesday, July 9. The Shakespeare Theatre Company’s Free For All is a much-loved Washington tradition, offering free performances of a Shakespearean classic to the general public each summer. Started in 1991 to bring free Shakespeare to new and diverse audiences in the Washington metropolitan area, the Free For All presented Shakespeare under the stars at the Carter Barron Amphitheater. 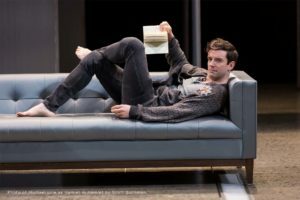 In an effort to make Shakespeare completely accessible for all residents of the D.C. Metro area, the Free For All was brought to downtown D.C. in 2009 and now resides at the Shakespeare Theatre Company’s Sidney Harman Hall. To date, the Free For All has reached nearly 700,000 area residents and counting. Free For All is a highlight of Washington’s theatre season, a traditional outing that attracts the city’s most diverse audience. Championed by Shakespeare Theatre Company Artistic Director Michael Kahn and founding chairman R. Robert Linowes, and made possible with invaluable support from the Washington Post, Philip L. Graham Fund and a committed group of community-minded sponsors, the Free For All proved an enormous success its first year, attracting more than 2,500 theatregoers each night. Succeeding summers have seen the Free For All build on its early promise, with audiences flocking to see some of Shakespeare’s greatest plays—All’s Well That Ends Well, Hamlet, Measure for Measure, Henry V and King Lear—performed by the Shakespeare Theatre Company’s actors and such guest artists as Sabrina LeBeauf, Kelly McGillis and Harry Hamlin. Citizens for Shakespeare has helped thousands of area students and community members gain access to Shakespeare’s plays. The Shakespeare Theatre Company Free For All’s unique contribution to the community was recognized with The Washington Post Distinguished Service Award in 1992 and the 1997 Public Humanities Award presented by the Humanities Council of Washington, D.C. Here are some tips on how to get the most out of your Free For All experience! What is Free For All? 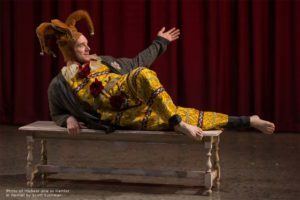 The Shakespeare Theatre Company’s Free For All is a much-loved Washington tradition, offering free performances of a Shakespearean classic to the general public at Sidney Harman Hall in the heart of Washington, D.C.’s Penn Quarter. Completely 100% FREE. Tickets cost nothing. Nada. Zip. Zero. Zilch. Totally free Shakespeare? How is this possible? Free For All is made possible by many incredible community-minded sponsors and partners, as well as individuals just like you! If you’re interested in supporting the Free For All so we can continue to provide quality productions, consider joining the Friends of Free For All. You get great benefits as well as the satisfaction of knowing you’re helping to provide totally free Shakespeare for future generations. Our intention is for Free For All to be family friendly. Some performances will be more suitable for older children than younger ones. Guardians should bring children out into the lobby if they are restless. PLEASE NOTE: Babes in arms are not allowed in the theatre. Children must be five years of age or older. Every person entering the theatre must have a ticket. If a child will be sitting on someone’s lap, they still must have a ticket. Exceptions cannot be made. There are 761 seats in Sidney Harman Hall. For each performance, a certain number of seats are designated to Friends of Free For All, students and other community partners through numerous outreach initiatives. A minimum of 200 seats will be offered to the general public for each performance through our Ticket Line as well as many more given away through our Online Lottery. How does the Online Lottery work? A block of tickets will be given away on our website via the ticket lottery for each performance. Entries can be submitted at ShakespeareTheatre.org by selecting your performance on our online calendar. Winners will be chosen at random. The time you enter the lottery has no bearing on your chances of winning. Only one entry per account will be considered for the drawing. All entrants will receive an email after 8 p.m. the night before the performance. Limit two tickets per winner. We use an online email system called WordFly, and it may take a few hours before you receive your email depending on your own systems refresh time. If I win tickets through the online lottery, when can I pick them up? Winners may pick up their tickets in the Sidney Harman Hall lobby beginning two hours prior to curtain on the day of their performance at the reception desk. All tickets MUST be picked up no later than 30 minutes prior to curtain. Any unclaimed tickets will be released to the ticket line. All attendees MUST be physically in their seats no later than 10 minutes prior to curtain. Any empty seats will be filled in by standby patrons. PLEASE NOTE: Jackets and bags do not count as bodies when we begin filling seats with standby. What if I’m a member of Friends of Free For All? Friends of Free For All who have not already received their tickets may pick up their tickets at the Sidney Harman Hall Box Office the day of the performance. All tickets MUST be picked up no later than 15 minutes prior to curtain. Any unclaimed tickets will be released to the ticket line. All attendees MUST be physically in their seats no later than 10 minutes prior to curtain. Any empty seats will be filled in by standby patrons. PLEASE NOTE: Jackets and bags do not count as bodies. What happens if I win tickets through the online lottery, but cannot attend that performance? Lottery winners may not exchange tickets. Tickets will be forfeited and you must enter the lottery again for another performance. If you find you cannot attend, simply reply to the winner email you receive and let us know. We’ll release your tickets to the stand by line. Friends of Free For All may exchange their FFA tickets for other available FFA performances. What happens if I don’t win tickets through the online lottery? Fear not! If you didn’t win tickets for the performance you want, a block of tickets is held for the general public and given away each day at the theatre for that day’s performance. Simply come to Sidney Harman Hall and join other Free For All-ers in the Ticket Line. And remember, you can always re-enter the online lottery for any Free For All performances left during the run. Talk to me about this Ticket Line. Our Ticket Line is the best place to get in the spirit and share your love of Shakespeare, theatre or free stuff with other Free For All-ers. We’ll be giving away coupons for local eateries and other fun stuff! You can also enter to win tickets to other fabulous STC productions and other swag given away before every show. At least 200 seats will be made available to give away to the Ticket Line for each performance. I want to bring a group of people to the Free For All. How do I obtain tickets? The ticket line is the only way to ensure a large number of tickets. Remember that you can only receive two tickets per person. So, if you want 10 tickets total, you need to bring at least five people with you to get all 10 tickets. As the seating is general admission, it will be important for your party to enter at the same time to ensure you can sit together. The closer you arrive to show time, the less chance you have of being seated in a group. Once I have my tickets, when can I take my seat? Lobbies will open one hour prior to curtain and you may enter to use the restrooms or purchase concessions. The house will open 30 minutes prior to curtain and you may then take your seats. Public restrooms: where are they? Sidney Harman Hall restrooms will be accessible one hour prior to curtain for patrons who receive tickets. Public facilities are located in the National Portrait Gallery (located on F Street NW between 7th and 8th Streets NW) during museum hours (11:30 a.m. to 7:00 p.m.). We do apologize, but we cannot allow patrons access to our restrooms until one hour prior to curtain. Where can we get a bite to eat? Penn Quarter is full of great restaurants for pre- or post-theatre dining. Visit our Dining Page for suggestions and make reservations through Open Table. Concessions will be available beginning one hour prior to curtain and during intermission. The Kahn-bo is a fan favorite. I have an accessibility need. How do I communicate this to you? Sidney Harman Hall is completely accessible and we strive to ensure all of our patrons are comfortable in out space. 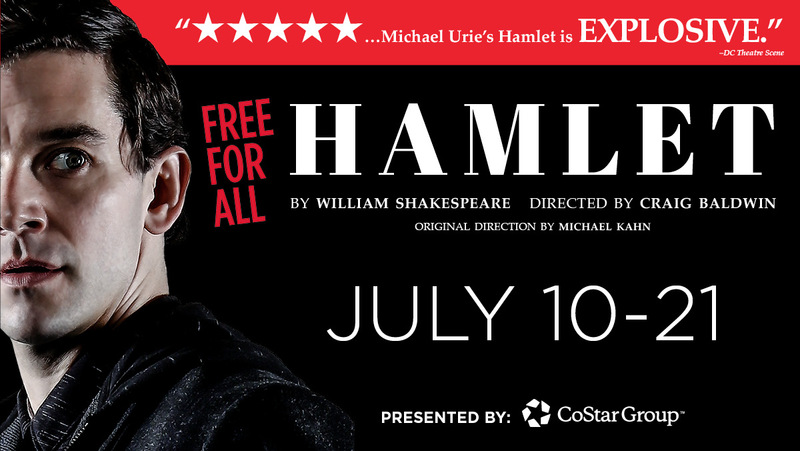 If you or a member or your party will be attending the Free For All and has an accessibility need, please email STCBox@shakespearetheatre.org with your request and we will do our best to make the requisite accommodations. Please note: you will still need to acquire tickets, whether it’s through Friends of Free For All, subscriber tickets, the lottery or the line. If all accessible seats are in use on your requested date, we may be unable to accommodate your request but will do our best to have alternative solutions available. If you arrive the day of a show and need an accessible seat, obtain your ticket and then see the box office for seat locations. Ok. You’ve convinced me. Now, how do I get there? The easiest way to visit Sidney Harman Hall (610 F Street NW) is by taking Metro, the area’s extensive and easy-to-use public transportation system. Sidney Harman Hall is a block from the Gallery Pl-Chinatown and Judiciary Square stations. For Metro maps and times visit wmata.com. Several parking garages are located around Sidney Harman Hall; rates and closing times vary, so please check with each individual garage. All artists and dates subject to change. PLEASE NOTE: Babies in arms are not allowed in the theatre. Children must be five years of age or older.